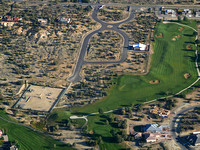 The San Juan Basin has contributed more than eight percent of the nation’s current natural gas supply. Our area has produced more than 370 million barrels of oil and nearly 38 trillion cubic feet of natural gas. There are currently more than 20,000 producing wells with a prediction of up to 5,000 additional wells targeting natural gas in the upcoming years. 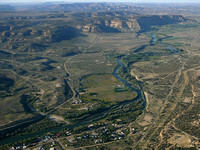 The San Juan Basin of the Four Corners region is a bulls-eye for energy development, having contributed more than eight percent of the nation’s current natural gas supply. 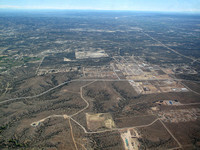 There are currently more than 20,000 producing wells with a prediction of up to 15,000 new gas wells in coming years. EcoFlight works closely with the San Juan Citizens Alliance, a leading conservation group in the region, to build partnerships with local landowners and communities for responsible regulation of the oil and gas industry. Major concerns focus on the impacts from oil and gas development near homes and farms, and the impact of industrial scale oil and gas development on public lands managed by BLM and the Forest Service. 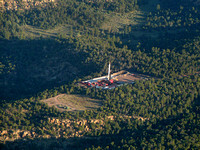 The San Juan Citizen’s Alliance campaign to reform oil and gas development in New Mexico has three primary components: to ban unlined production waste pits in New Mexico, to pressure the BLM Farmington Field Office to improve enforcement, and to secure stronger air pollution emission standards by the BLM and Forest Service. To learn more, visit www.sanjuancitizens.org.